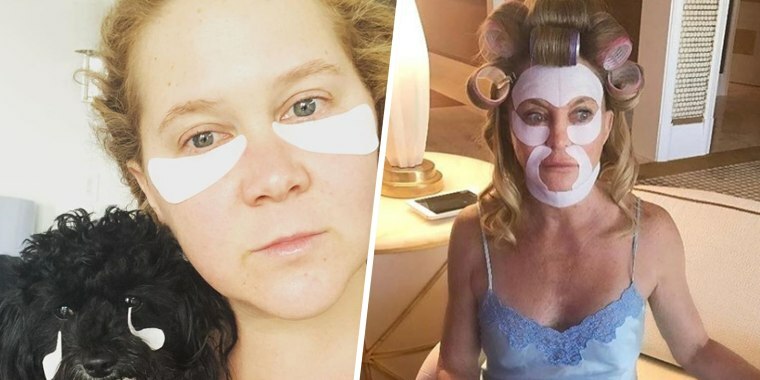 Thank you, Amy Schumer, for giving these masks a pre-Tonys shoutout on Instagram. And thank you, Kaley Cuoco, for that priceless photo you shared before you got married. You’ve given my eyes a whole new softness, thanks to your public embrace of these peel-on gel masks. But first, a little backstory. I blame my own disorderly, disjointed and thoroughly unmanageable sleep cycle, which has me waking up at 1 a.m., followed by 3:40 a.m., followed by 5:01 a.m., on a regular basis. As in, daily. Without going too heavy into the gory details, my sleep has been total chaos since the death of my husband from brain cancer. He'd wander around in a stupor, you see, and so I was always half-awake, just in case. Among other less visible organs, my skin has paid a price. My eyes are routinely swollen and red, and accented with attractive dark circles. So I looked for a quick, easy fix that would, at the very least, make the under-eye area feel a little bit pampered first thing in the morning. 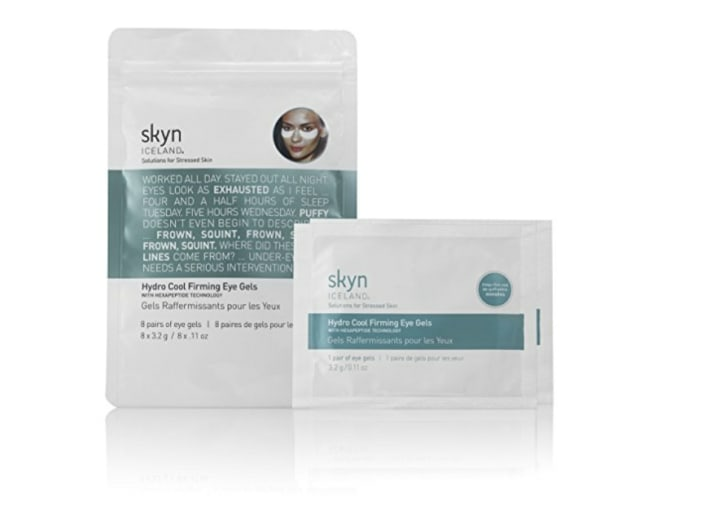 Enter Skyn's Hydro Cool Firming Eye Gels. These effective eye masks are a necessary addition to my morning routine. And in even better news, they're 50 percent off today as part of Ulta's 21 Days of Beauty sale. The masks, which come in packs of eight, promise to de-puff and smooth out the delicate under-eye area. I have terrible allergies and perpetually irritated eyes. Slipping these curved masks under my orbs felt like dipping my face into cool water. They're light enough to not get in the way if you're trying to read or write, and they stick on without any lumpiness or weird misshapen situations. After gently peeling off the pads, my eyes felt refreshed and calm — almost as though I'd just taken a light nap. And they seemed noticeably less puffy ... at least to me. That's after just one application. I'm told they work even better if you keep them refrigerated. And since I have no desire to go under the knife, I'll keep using these to keep that area as smooth as possible.